Nunc est Bibendum!!! 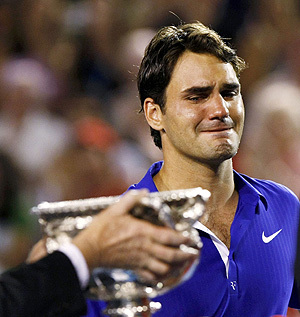 : Roger Federer crying! But, this Federer cries tears of sadness this time!! Roger Federer crying! But, this Federer cries tears of sadness this time!! Nadal says the prize is less prize with Federer crying! !